There comes a time in many longer walks where you pass your last water source for a number of days. You quench your thirst, then drink some more and then fill every container you have for the coming journey. 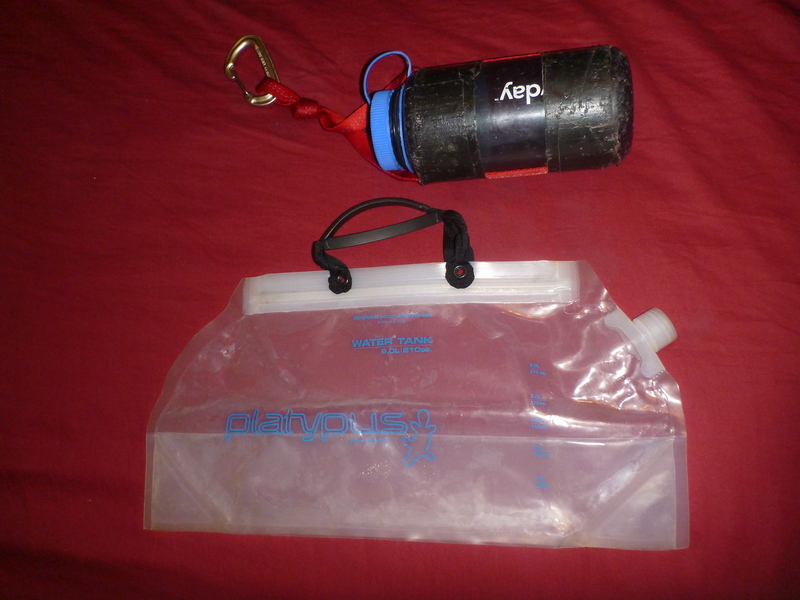 Often you want to take more than will fit in your regular bottles or camel-pack. This is when it pays off to have a canteen with larger capacity. My current choice for this situation is the (creatively titled) Platypus ‘Water Tank’. This is takes 6 L and is made of the standard Platypus soft plastic. The former of these specs is I think spot on the money as the best volume (and you can always under fill it), whilst the later I fear may be a weak point as was the case for my 2L Platypus! The other remarkable feature of this canteen is its closing mechanism, which is nothing more than a heavy duty ‘zip-lock’ strip…. Now whilst this may be ridiculed and criticised by all who see it for the first time (you should have seen T2’s eyes glitter with preemptive schadensfreude), I have given it a fair bit of a beating when tossing my pack around and am yet to have it fail even slightly. Therefore I give the design team on that feature full credit! 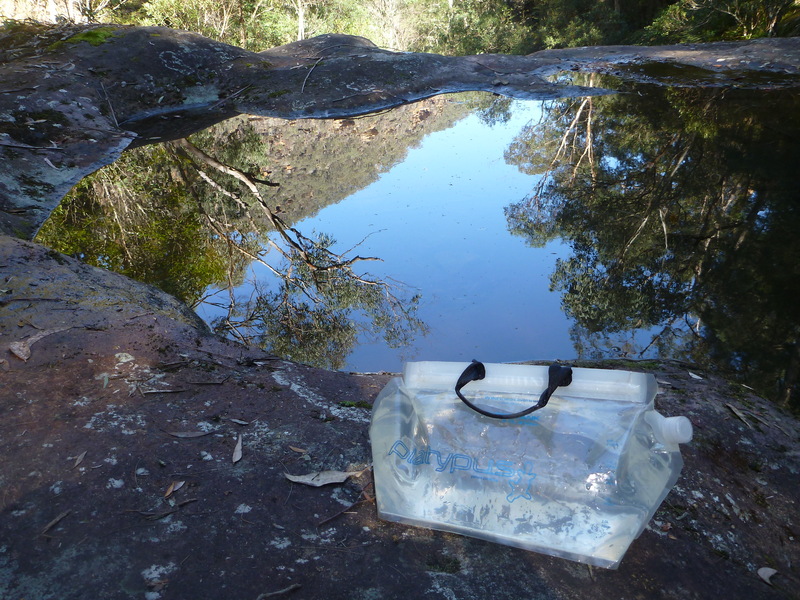 It makes the ‘Water Tank’ a breeze to fill up, even from shallow pools.